Party Pack of Four Cakes. APO/FPO Party Pack of 4 Singular Sensation 4-inch cakes that is sure to put a smile on your recipient's face! 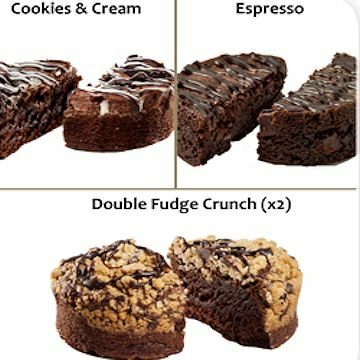 We include our Espresso Brownie, Cookies & Cream and two of our Double Fudge Crunch cakes in an elegant gift box with a greeting card that you can personalize online! That’s Sensational! Cakes come packaged in an elegant gift box!